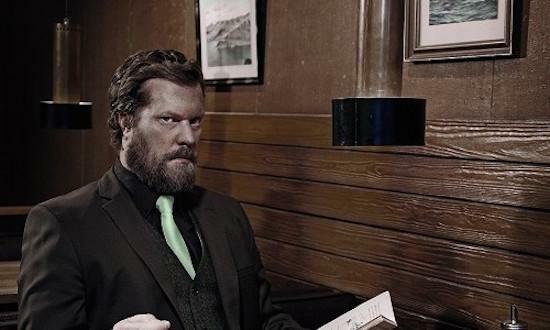 John Grant has been confirmed to play at North Atlantic Flux: Sounds From Smoky Bay, the four-day festival he is curating as part of Hull UK City Of Culture 2017. The festival will take place over the Mayday Bank Holiday weekend, with Grant's appearance coming on April 30, the penultimate day. The festival aims to present an insight into contemporary Nordic music with Grant joining past announced healiners GusGus and Lindstrøm, while there will also be a set from Wrangler. Further confirmed to play the festival are Icelandic post-punk group Fufanu, Sykur, Mugison, Prins Póló, Susanne Sundfør, Nils Bech and more. While the festival's bookings place a focus on Nordic music, there are a number of British acts also confirmed to play, with Wrangler and Steve Cobby & Russ Litten among them. Sam Hunt, Executive Producer of the 2017 City Of Culture events, said: "We're thrilled to be welcoming John Grant to the city. He's put together a brilliant line-up of musicians, all coming together to create a really special festival and one you're unlikely to experience anywhere else." The festival is a one-off for Hull's UK City Of Culture celebrations and runs from April 28 - May 1. Sets are taking place at a number of venues across Hull, including Hull City Hall, Jubilee Central and Gate Nº5. You can get tickets and find out more information here. Read Benge's, of Wrangler, Baker's Dozen here.